Milk & Cheese Digestion Support- NEW! Milk is a great source of essential nutrients such as protein and calcium, yet many people struggle with proper digestion of milk and dairy products. If your digestive system works as it should, the enzyme lactase breaks down the milk sugar lactose into glucose and galactose, two simpler forms of sugar. Glucose and galactose are then absorbed into the bloodstream. In people with lactose intolerance, when the lactase produced is insufficient to digest the amount of lactose consumed, the bowel retains water. Undigested lactose then passes from the small intestine into the colon where it is fermented by bacteria. The resulting symptoms can include cramping, bloating, gas, nausea and diarrhea. Lactose intolerance, characterized by the inability to break down lactase (the sugar found in milk), affects 10 to 16 percent of the entire American population. Lactase deficiency can develop over time, as early as childhood, or later in life due to a variety of conditions. According to the National Institutes of Health, specific populations show higher levels of intolerance: 95 percent of Asians; 60 to 80 percent of African Americans and Ashkenazi Jews; 80 to 100 percent of American Indians; and 50 to 80 percent of Hispanics. For many, milk proteins are an added problem and can cause milk protein intolerance in dairy-sensitive individuals. Bread and other baked goods; waffles, pancakes, biscuits, cookies and mixes to make them; processed breakfast foods such as doughnuts, frozen waffles and pancakes, toaster pastries, and sweet rolls; processed breakfast cereals; instant potatoes, soups, and breakfast drinks; potato chips, corn chips and other processed snacks; processed meats, such as bacon, sausage, hot dogs and lunch meats; margarine; salad dressings; liquid and powdered milk-based meal replacements; protein powders and bars; candies; non-dairy liquid and powdered coffee creamers; and non-dairy whipped toppings. Take 1 or more capsules with each meal, as needed, or as directed by your healthcare professional. Directions: Take 1 capsule with any dairy foods. You may take more than one capsule at a time, as needed, or as directed by a healthcare professional. Digestive enzyme therapy is the use of plant or animal-based dietary supplements to support digestion and promote balanced metabolism. * Although the body is equipped with enzymes that perform digestive actions, factors ranging from stress to age to health issues can reduce production. Lactose is a sugar found specifically in milk and milk products. It is made up of two smaller components – glucose and galactose – that are bound together and must be broken apart by the body in order to be absorbed. The enzyme responsible for the digestion of lactose is called lactase. Many people do not produce adequate amounts of lactase and therefore have difficulty in fully breaking down lactose from their diet. This causes the intact lactose sugar to move into the large intestine where our natural microflora can digest it, releasing gas as the byproduct. Although lactose intolerance is prominent in Asian and African-American populations, both young and old, only a small percentage of the adult population as a whole can fully digest lactose. It is also often accompanied by other food intolerances. Aging is a chief component in the development of lactose intolerance. How long should I take Lacto-relief before feeling results? Take Lacto-Relief 5-10 minutes prior to eating. The typical dose is 1 to 2 capsules per meal. 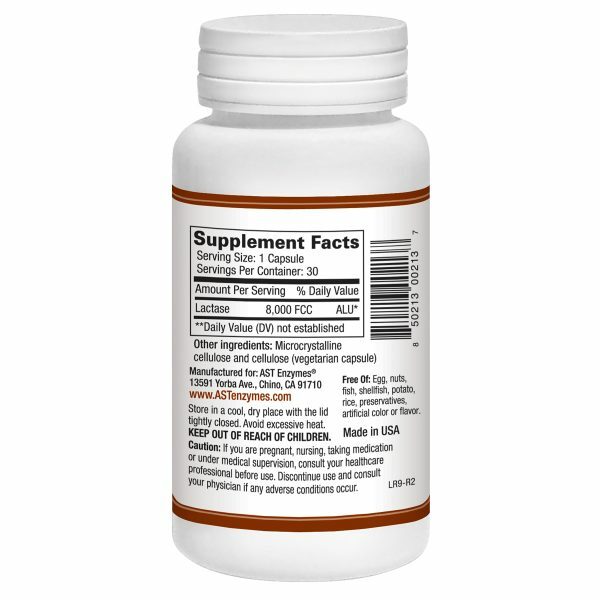 Digestive enzymes are meant to aid in the digestion of food. Although digestive enzymes are recommended to be taken prior to a meal, if you find yourself missing a dose, we recommend you taking them after your meal. Why is it important to take Lacto-Relief with food? 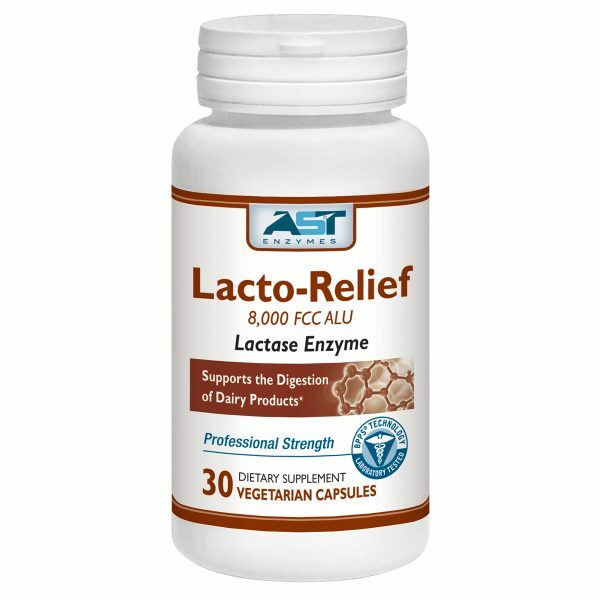 Since Lacto-Relief aids in digestion, it is contraindicated to use the enzyme without eating. Although it is not harmful to take Lacto-Relief on an empty stomach, it is simply a waste of money. If you take digestive enzymes too soon before a meal, you risk the enzyme becoming inactive. The food and enzyme must be in the stomach together for proper results. Are there any side effects involved with Lacto-relief? Side effects with Lacto-relief are rare. Mild cramping, bloating or gas may occur. Starting off at a low dose can minimize any possible side effects. Side effects should clear with regular use, after a tolerance is established. 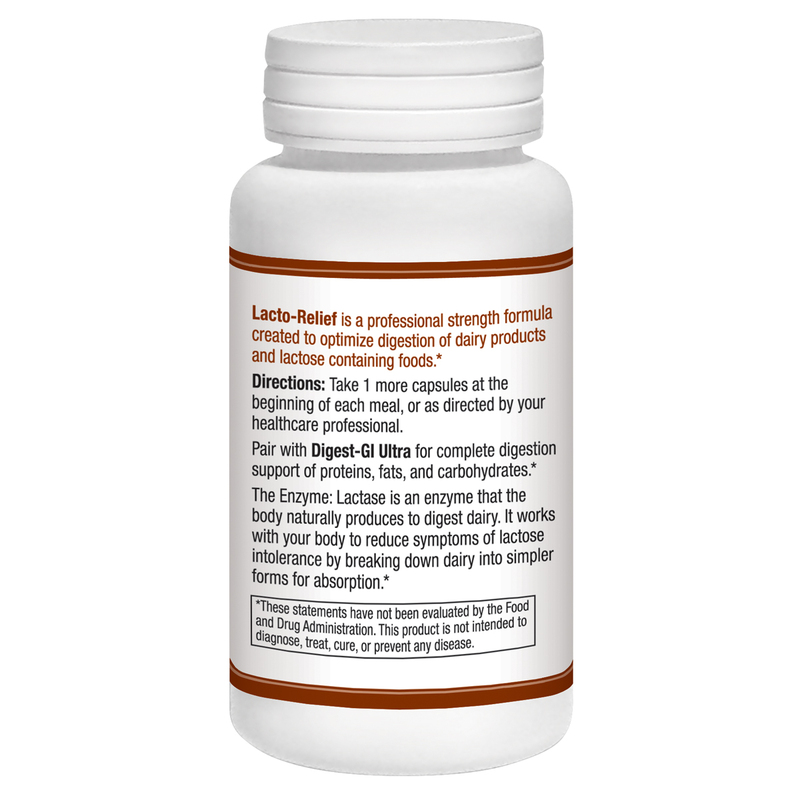 Can I take Lacto-Relief with other systemic or digestive enzymes? Although digestive and systemic enzymes are not contraindicated in terms of ingredients, they cannot be taken at the same time. The purpose of digestive enzymes is to aid in digestion of specific foods, so taking them with food is an obvious recommendation. Because systemic enzymes require an empty stomach for maximum absorption, they must be taken separately from digestive enzymes. There are no adverse interactions between systemic and digestive enzymes, but they serve different purposes, and thus should be taken as directed for best results. Excellent Product! 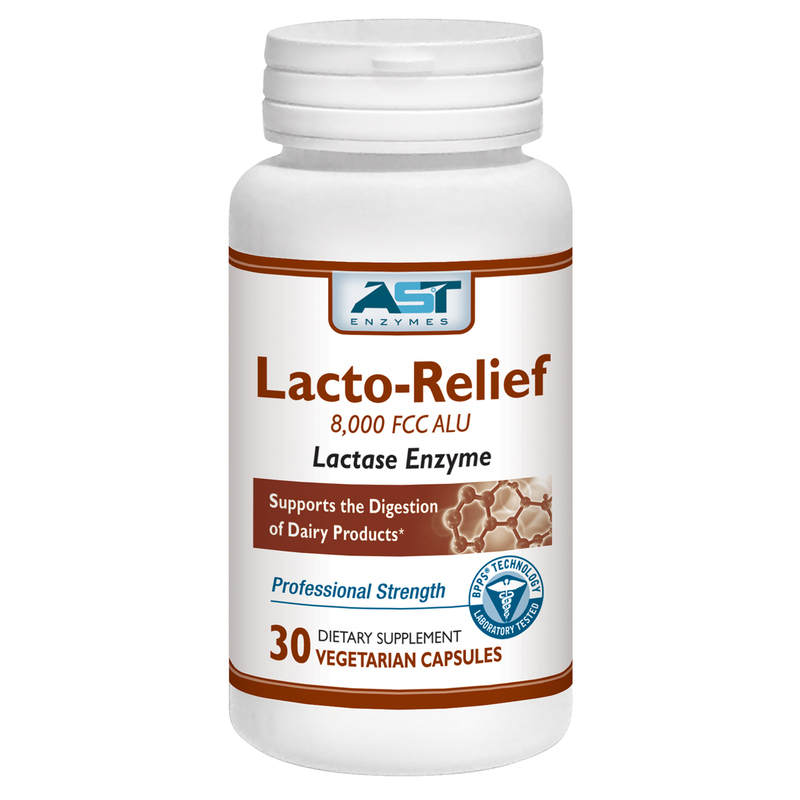 I have lactose and wheat sensitivities and Lacto Relief has been helped me so much. I can now digest wheat and dairy products. For years, I’ve had to avoid milk and wheat, but now I can enjoy without experiencing bloating and stomach upset. I particularly like to take one before going to restaurants or parties because wheat and dairy are difficult to avoid in these settings. Thank you! Nutrient absorption occurs within the small and large intestines, and the presence of natural and beneficial microflora assists in the proper digestion of foods. One of our most popular blends, Floracor-GI supports microflora balance, gastrointestinal health and immune health. Combining powerful lactase enzyme in Lacto-Relief with Floracor-GI provides overall digestive support. 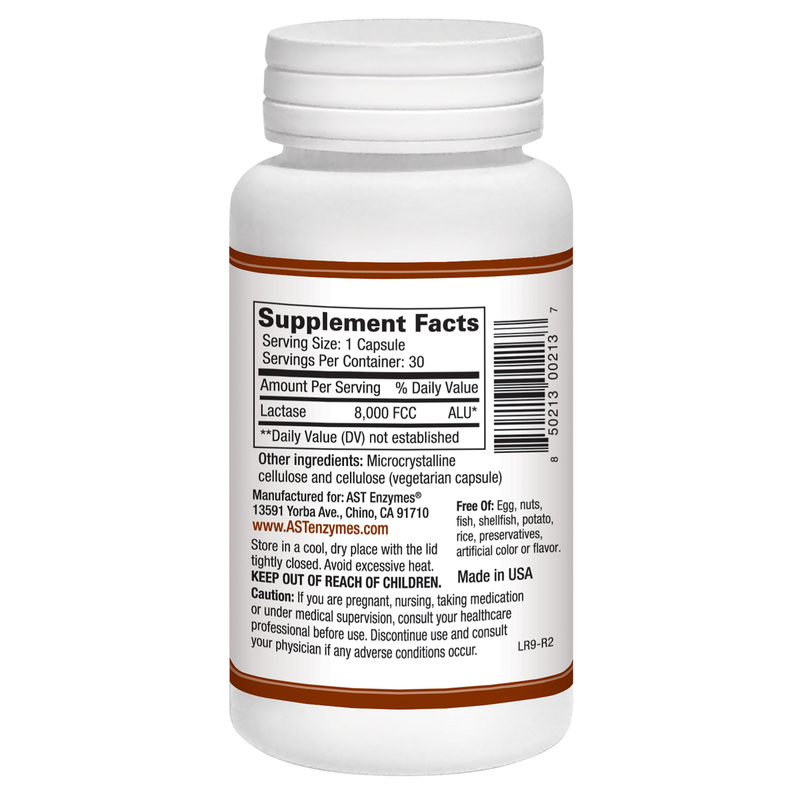 Digest-GI is a broad-spectrum digestive enzyme blend that supports digestion of all types of foods.